(18/P004) TRENTON – Department of Environmental Protection Commissioner Bob Martin today announced a project that ultimately will transform 240 acres of Liberty State Park – closed to the public for decades due to low levels of contamination from historic fill – into a mosaic of freshwater wetlands, salt marshes, forests, and grasslands to benefit both people and wildlife. The project area, which encompasses some 40 percent of the park’s land area, has been closed off to the public by a chain-link fence. The area is contaminated with low levels of metals and hydrocarbons from past placement of dirt to fill in low-lying areas, known as historic fill. The overall cost of all phases of the project is expected to be in the tens of millions of dollars, and will be funded primarily through Natural Resource Damages (NRD) settlements secured by the state from polluters. NRD settlements compensate the public for the lost enjoyment of and adverse impacts to a natural resource – such as ground water, waterways and areas of land – caused by pollution. The state seeks this compensation separate from and in addition to any costs responsible parties incur to remediate pollution. The U.S. Army Corps of Engineers’ New York District will put the project out to bid and manage construction. DEP will oversee the project through its Office of Natural Resource Restoration (ONRR). The project, building upon design work already completed by DEP, will initially focus on restoring wetlands to a 23-acre portion of the park. Trails with interpretive signs will be established to connect this area to the park’s existing trail system and to the adjacent Liberty Science Center interactive science museum. In addition, the area will be graded to capture and collect stormwater runoff. The project’s subsequent phases will restore another 217 acres by creating new salt marsh, capping contaminated soil, and planting trees and grasses to create forested and grassland areas. Trails will also be established throughout this portion of the project. 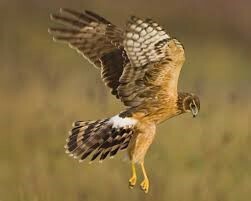 The types of wildlife with the potential to benefit from the restoration include wading birds, waterfowl, northern harriers (a hawk species), red-winged blackbirds, diamondback terrapins (a coastal turtle species), oysters, bats, American woodcock (a grasslands bird), long-eared owls and white-crowned sparrows. Plant and tree species such as cordgrass (a salt marsh grass), willows, river birch, oak and Torrey’s rush (a grasslands wildflower) will also be supported. The overall project area is bounded on the north by Audrey Zapp Drive and the Grove of Remembrance, to the west by the Liberty Science Center and Phillip Street, to the south by Thomas McGovern Drive, and to the east by Freedom Way. Some 5 million people visit the park each year, making it one of the nation’s most visited parks. It was dedicated on June 14, 1976, as the state’s Bicentennial gift to the nation. 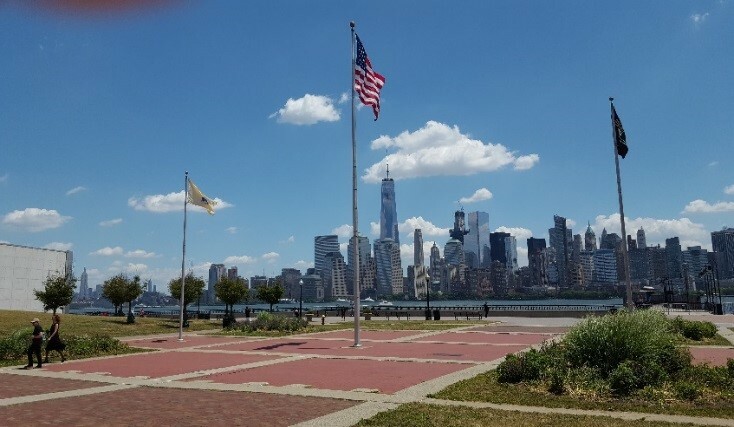 Liberty State Park provides stunning views of Manhattan, the Statue of Liberty and Ellis Island, as well as a multitude of opportunities for recreation and education about the nation’s cultural heritage and history. In addition to fields, nature trails, bike paths and picnic facilities for recreation, the park preserves the historic Central Railroad of New Jersey Terminal, which once served as the departure point for millions of immigrants as they embarked on new lives in America after their arrival and processing at Ellis Island. The park is home to the Empty Sky memorial, honoring the victims of the September 11, 2001 terror attacks. It also has interpretive exhibits on the Black Tom Island disaster, which some historians characterize as the first terror attack on America. German saboteurs have been blamed for the July 30, 1916 massive waterfront explosion of munitions being stored to assist the Allied effort during World War I, a disaster that led to the nation’s eventual entry into the war. 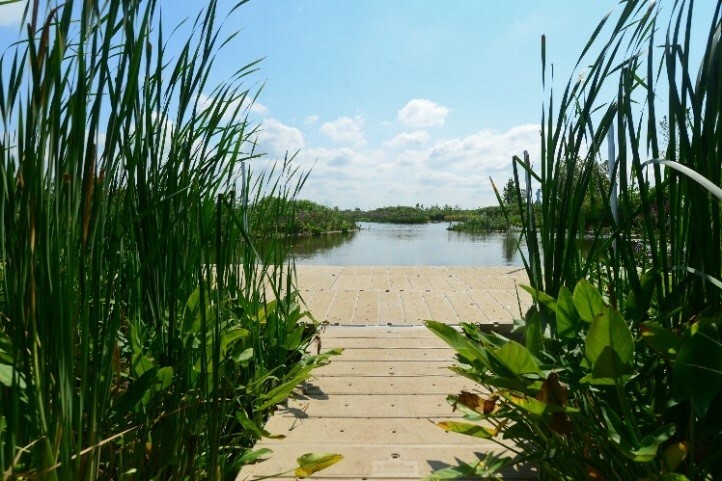 “This is New Jersey’s great urban park, and it will be made only greater through this habitat restoration effort, which will help visitors better understand and appreciate nature,” said Mark Texel, Director of the DEP’s Division of Parks and Forestry. The park provides direct ferry service to the Statue of Liberty, Ellis Island and Manhattan as well as cruises of New York Harbor. A two-mile-long promenade along the Hudson River waterfront is popular with visitors enjoying waterfront views. The 36-acre Richard J. Sullivan Natural Area, named for the first DEP commissioner, preserves salt marsh for opportunities to enjoy nature. In 2016, the DEP celebrated extensive repairs and renovations to the 120-year-old railroad terminal, an $18 million project made necessary when Superstorm Sandy’s record storm surge rolled through the iconic building in October 2012. This past fall, requests for new concessionaires in the terminal building were issued aiming at providing additional amenities for visitors and to help the park’s self-sufficiency. The State Park Service has also expended taxpayer dollars to upgrade playground equipment and picnic pavilions and continues to expand park events. Entry to Liberty State Park has remained free to all visitors under the Christie Administration. For more on the DEP’s Office of Natural Resource Restoration, visit www.nj.gov/dep/nrr/.